Lately I have been receiving a lot questions from readers asking how to deal with the difficult behavior that is often expressed by persons living with Alzheimer's and dementia. Often these behaviors can be stressful and sometimes combative. Here is an example of a question that popped up on one of my Facebook pages. What can you do when the Alzheimer's Patient gets combative and you want to avoid Nursing Homes. 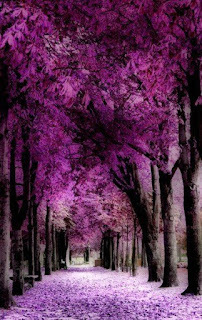 I decided to put together a list of articles from the Alzheimer's Reading Room that address this issue. Please take the time to read the articles, they can contain lots of useful tips. You might also consider sharing this article with others or in support groups. What you have expressed about your emotions and frustrations about taking care of your Mother who suffers from dementia, I've heard so many times before. Persons living with Alzheimer's or a related dementia are well known for their challenging, often difficult, behaviors. We the caregivers and the persons living with dementia are no different than anyone else. We need company, we need help, we need socialization and when we are avoided or abandoned we feel lonely. It is my belief that the reduction of stress could reduce the progress of memory loss in Alzheimer's patients; and, could lead to a happier, more easy to deal with, person living with dementia. I often get asked questions about how I dealt with my mother when she engaged in difficult to manage behaviors. I had to learn to deal with that brain. To accept that mom's brain works different. This different brain requires me to adjust my communication. It required me to learn new and different ways to deal with the behaviors that come with Alzheimer's disease. Did you know the Alzheimer's Reading Room contains more than 5,000 articles and has been published daily since July, 2009? The website is designed to help caregivers deal with the problems they face each day. Title: "7 Ways To Deal With Difficult Behavior Caused By Alzheimer's and Dementia"